Red, encrusting sheets, on overhangs and vertical surfaces. This is thinly encrusting, and has canals radiating from each exhalent pore. 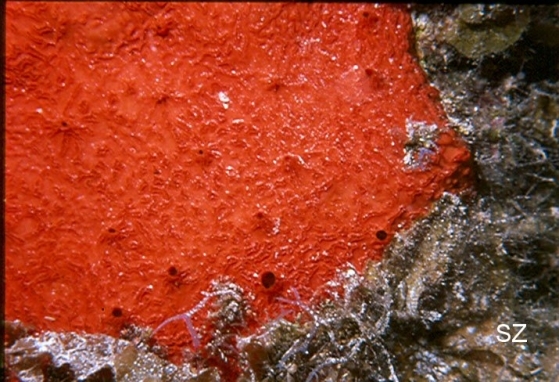 It is similar to Spirastrella coccinea but is distinguished from it by its much smaller pores.